Dell has accidentally published near-final specifications of its upcoming XPS 15 notebook due to be released early next year. 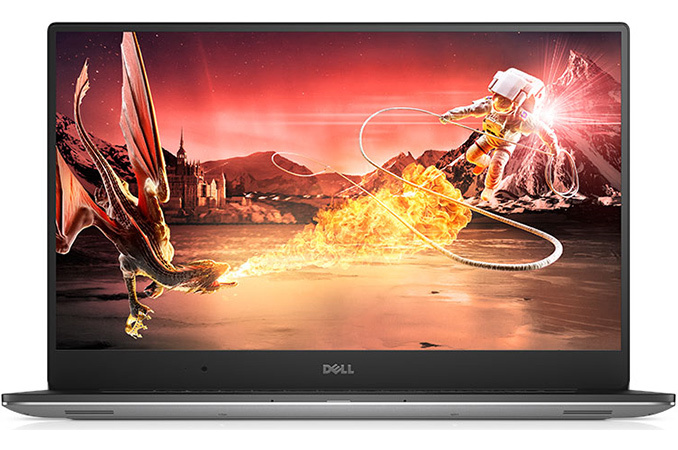 The Dell XPS 15 computers are designed for performance-demanding users seeking near bezel-less laptops with above-average performance at a moderate price with a plenty of upgrade options. The new XPS 15 9560 will receive Intel’s Kaby Lake processor, NVIDIA’s GeForce GTX 1050-series graphics as well as some other optional upgrades not available on current-gen, but will retain the internal architecture and external design. According to the listing (now removed from the website) Dell’s upcoming XPS 15 9560 notebook will use either a dual-core Intel Core i3-7100HQ, a quad-core Core i5-7300HQ or a quad-core Core i7-7700HQ CPU. The aforementioned chips are not yet formally announced, but it is known that they are based on the Kaby Lake microarchitecture and will thus offer improved performance compared to predecessors due to higher frequencies, Speed Shift v2 technology and other refinements. For those who opt for iGPU rather than a discrete model it is important to note that the Kaby Lake CPUs also has an improved video encoding/decoding engine. The next key enhancement of the XPS 15 9560 over the current-generation XPS 9550 will be NVIDIA’s GeForce GTX 1050 GPU with up to 4 GB of GDDR5 memory. NVIDIA has yet has to announce a mobile version of the GeForce GTX 1050, but it is highly likely that the product is based on the GP107 GPU featuring the Pascal architecture and up to 768 stream processors, similar to the desktop version. The new graphics chip should offer a decent performance upgrade when compared to the GeForce GTX 960M used in the current-gen XPS 15. Meanwhile for those planning to play demanding games it makes sense to look at the GeForce GTX 1060 or 1070, which means the Alienware 15. Since the new Dell XPS 15 9560 will retain the chassis of its predecessor, it will support similar InfinityEdge 15.6” display panels: an IPS FHD (1920×1080) or an IGZO UHD (3840×2160) with 100% AdobeRGB color gamut and touch support. Physical dimensions of the unit also remain intact with the predecessor: it weighs around 1.8 kilograms and is up to 17 mm thick. For storage, the new Dell XPS 15 will use either Seagate’s SSHDs or PCIe SSDs with up to 1 TB capacity. Meanwhile, due to improvements of Kaby Lake’s memory controller, the new laptops should be compatible with DDR4-2400 memory, offering an additional performance boost over DDR4-2133 used today. As for connectivity, the XPS 9550 uses Rivet Networks' Killer 1535 802.11 2×2 Wi-Fi + BT 4.1 controller, has one Thunderbolt 3/USB 3.1 Type-C port, two USB 2.0 headers, an HDMI output, a 720p webcam and an SD card reader, which essentially means that there is nothing for the XPS 9560 to upgrade here (at least, not without a major redesign of the whole PC). However, since the XPS machines are often used like workstations, Dell decided to add a fingerprint reader with Windows Hello support as an option. Since Dell has already taken down the XPS 9560 product page (technically, it is there, but without any data), so prices and exact final configurations / availability dates remain under wraps. Still, being a close partner of Intel and NVIDIA, Dell is typically among one of the first to release PCs based on the new CPUs/GPUs. Therefore we expect the new systems to arrive shortly after CES in the usual XPS 15 price range that starts at $999 and ends at ~$2500 for high-end models. It will be probably like a 5% hit, most likely hidden by the cpu bottleneck. IIRC pci-e 2 x4 vs x16 had negligible difference. And th3 at 50% is pretty much pci-e 2 x4. Bandwidth is mostly important for asset loading, and this usually happens in between levels, not during gameplay. The Audio PRO world is also needing the XPS 15 mobility with a still large screen, together with a Thunderbolt port (because its extreme low latency), to be used with the now ubiquitous and not expensive Thunderbolt DACs (DigitalAnalogueConvertor). Those standards are nowadays a given, thus it would be welcomed if a second Thunderbolt port feeds either widescreens when at the studio, or translates into USB3, eSata or whatever good connector in order to hook up the Virtual Instruments and extensive Libraries from hopefully biggish SSDs. Several audio interface makers have already been able to implement a walk-around for USB audio latency by using proprietary protocols supported at driver levels. That pretty much renders the latency advantage of TB obsolete. Plus TB audio interfaces are still at TB2 and adapters are costly. It is simply not worth it, as a TB audio interface comes with a hefty price jack already. TB still has a slight edge, but the difference is not as pronounced as compared to previous generation USB interfaces, so it is really not worth the price premium. Because at extremely low round trip latency, hardware becomes the bottleneck, so when you throw real time processing in the mix, the end difference is minuscule. For example, a TB interface may have as low as 2 msec round-trip latency, while a USB interface comes with an additional 1 msec penalty, so for unprocessed audio TB has a 50% advantage, but when you throw even some basic processing at it, that will add like 2 more msecs, making 4 for TB vs 5 for USB, advantage dwindles to 25%.